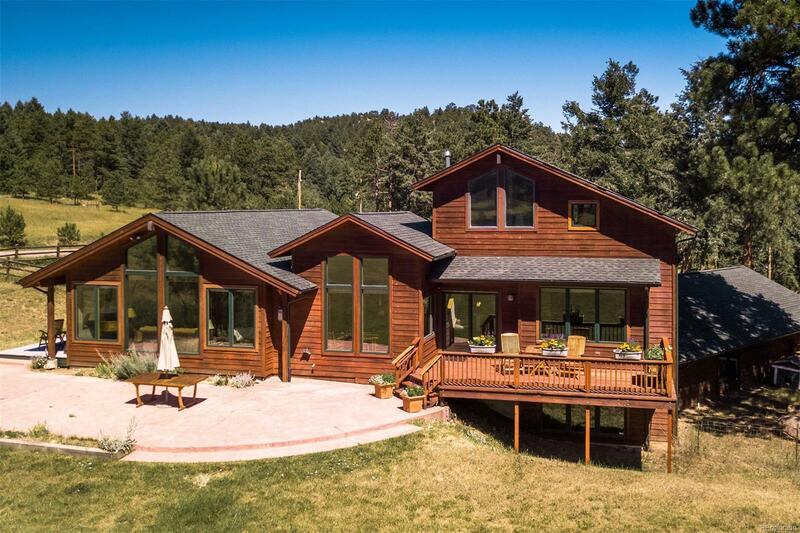 Sunny "mini-ranch" offers a signature picturesque red barn +ultimate privacy & serenity on close-in 2.1 acres. 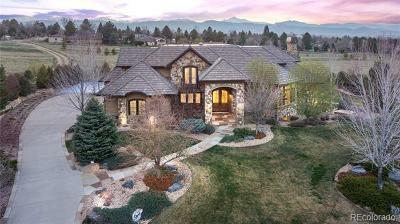 Flat fenced grassy meadow with a forested area & scattered rock out-crops to the north, this gated property is ideal for kids & pets, outdoor entertaining & experiencing Colorado's dramatic skies & mountain life-style. With approx. $120,000 in recent upgrades, open floor plan has exposed beams, updated lighting, many new Pella windows + new roof & gutters. Walls of glass let the sunshine in, while an extensive patio /deck access the huge yard. Main level master offers his/her walk-in closets, an updated tiled 5-piece bath with jetted tub & frameless shower door. 2nd main level bedrm & large laundry + roomy kitchen with center island/bar open to the great room with gas fireplace. Vaulted loft could be 4th bedrm with 1/2 bath. Lower level has bedroom, 3/4 bath, family room & dog shower. Barn has 2 gar. doors & electricity. Extensive fire mitigation complete. Generator.